Norwegian Cruise Line has reported a net loss of $8.8 million, or $0.04 per share, on revenues of $644.4 million for the second quarter ended June 30, 2013, compared to net income of $36 million, or $0.20 per share, on revenues of income of $583.2 million for the same period last year. According to Norwegian, net revenue was up 12% percent year-over-year on the addition of the Norwegian Breakaway and improved pricing. Excluding expenses totaling $70.1 million related to refinancing transactions in the quarter, Norwegian reported adjusted net income of $60.2 million and adjusted earnings per share of $0.29 compared to $36 million and $0.20 in 2012. Norwegian stated that during the second quarter, the company completed two refinancing transactions, which strengthened its balance sheet and will reduce interest expense going forward. The first transaction, a new $1.3 billion credit facility comprised of a $675 million term loan and a $625 million non-amortizing revolving credit facility, refinanced certain credit facilities secured by the Norwegian Star, Spirit, Sun, Dawn, Pearl and Gem. In conjunction with this transaction the company redeemed the remaining $228 million outstanding balance of its $350 million 9.5% Senior Unsecured Notes due 2018. The second transaction amended certain credit facilities secured by the Norwegian Jewel, Jade and Pride of America to reduce applicable margins and enhance certain terms and conditions. These transactions resulted in no material change in debt levels. Expenses related to the transactions, including write-off of deferred financing fees and premiums for the redemption of the Senior Unsecured Notes, totaled $70.1 million and are included in interest expense. "While the addition of the Norwegian Breakaway to our fleet was undoubtedly the highlight of the quarter, our strong results, which include our twentieth consecutive quarter of year-over-year adjusted EBITDA growth, are equally as notable," said Kevin Sheehan, president and CEO. "Other initiatives in the quarter, from the refinancing of certain credit facilities to further optimize our capital structure, to the enhancements carried out on Pride of America at her recent dry-dock, demonstrate our culture of leaving no stone unturned in order to add incremental value for our shareholders and enhance the cruise experience for our guests." An increase in capacity days and improvement in net yield resulted in a 12.0% increase in net revenue in the quarter. 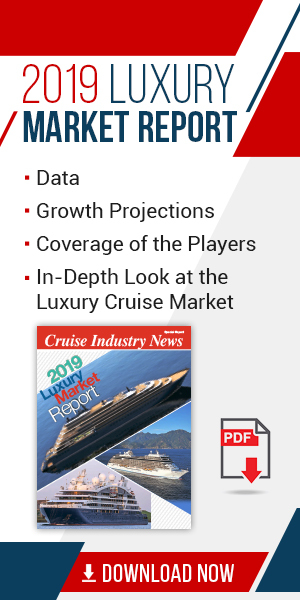 The addition of Norwegian Breakaway to the fleet, partially offset by planned drydocks for Pride of America and Norwegian Pearl, contributed to the 8.2% increase in capacity days while improvements in both passenger ticket and onboard revenue resulted in a 3.5% increase in net yield. Interest expense, net in the quarter exceeded the prior year by $54.8 million primarily due to expenses totaling $70.1 million related to the refinancing of certain credit facilities and the redemption of the remaining balance of the Company's $350 million 9.5% Senior Unsecured Notes due 2018. Norwegian also issued guidance for what it called adjusted earnings per share from $0.80 to $0.85 for Q3 and from $1.30 to $1.40 for the full year.